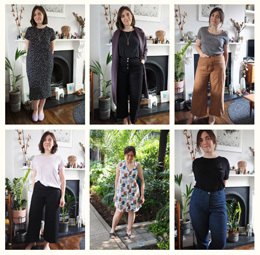 I promised it wouldn’t be long before I sewed vintage again. 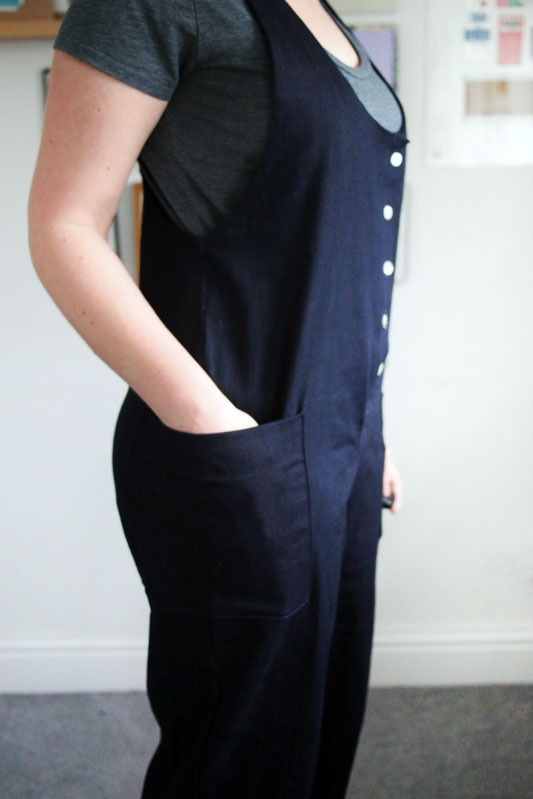 On a different tack completely to my ’60s dress, here’s a 1980s romper. 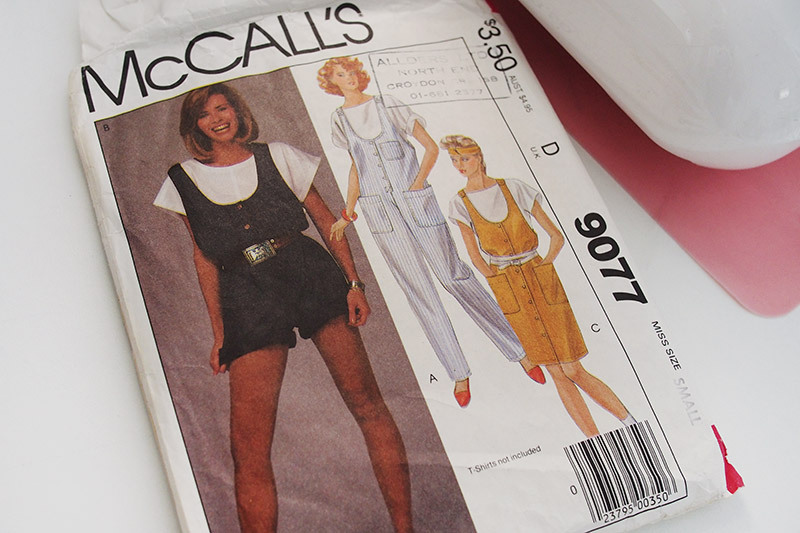 The pattern is McCall’s 9077 from 1984, a year older than me. 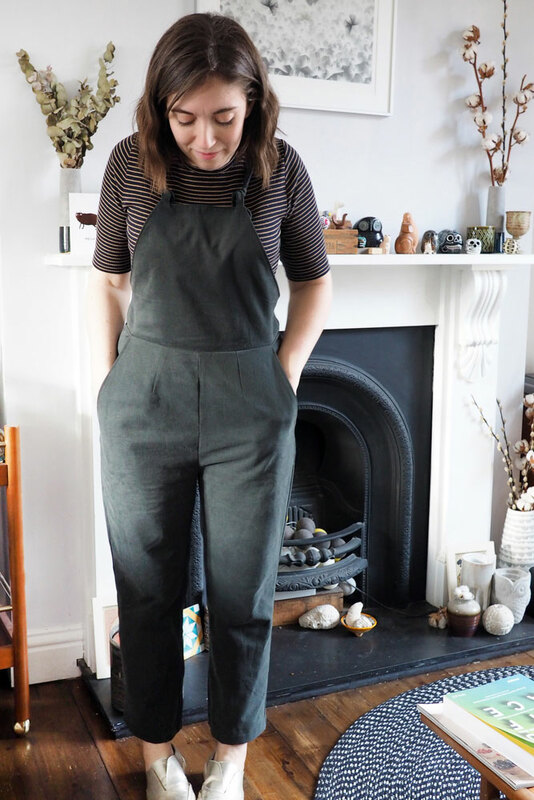 My Roberts dungarees are amongst my most loved and worn garments and I was definitely seeking to replicate their comfort and wearbility here. 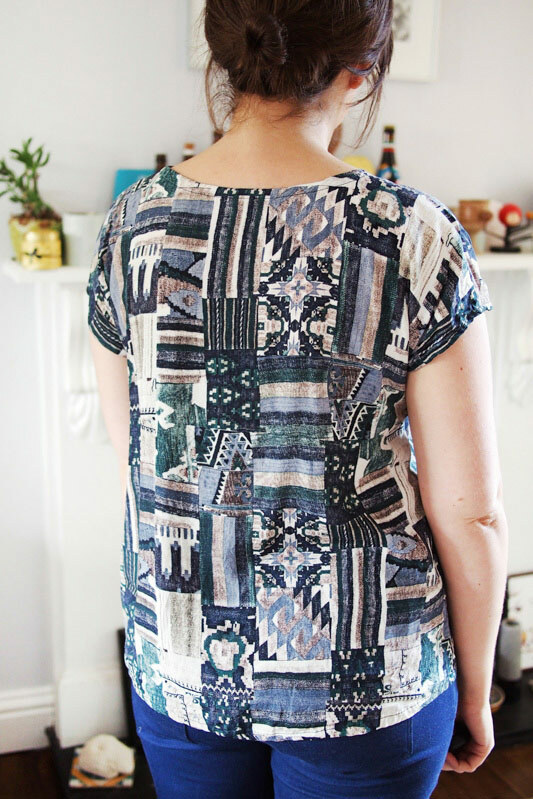 I love all 3 views of this pattern and reckon I’ll be sewing up the shorts and dress version before too long as well. I made these up as wearable toile, doing a bit of fit adjustment along the way. 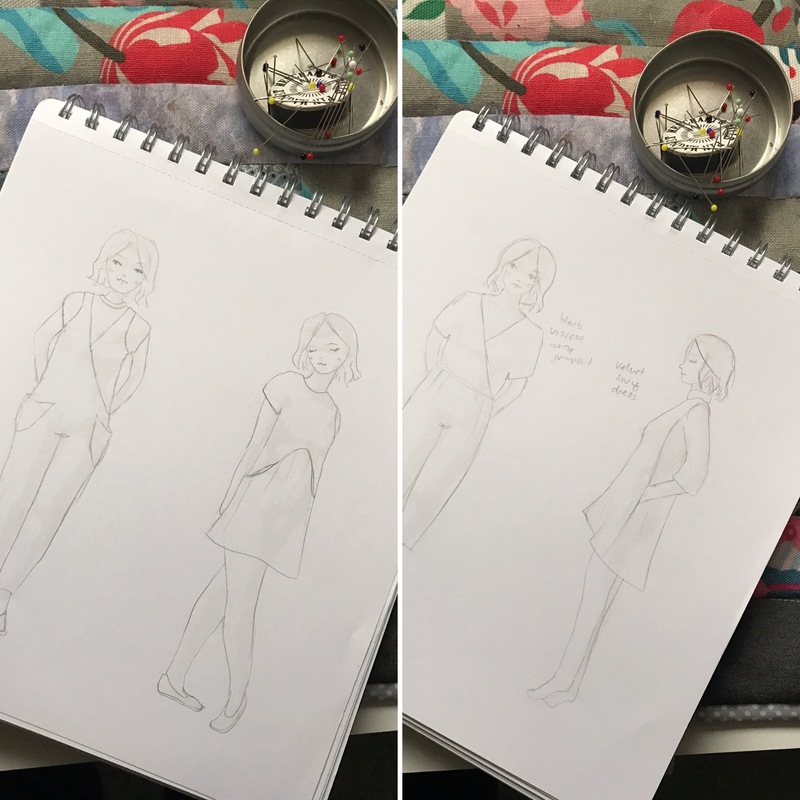 The pattern came in a single size, small, but it’s quite oversized and I had to take it in along the torso sides. 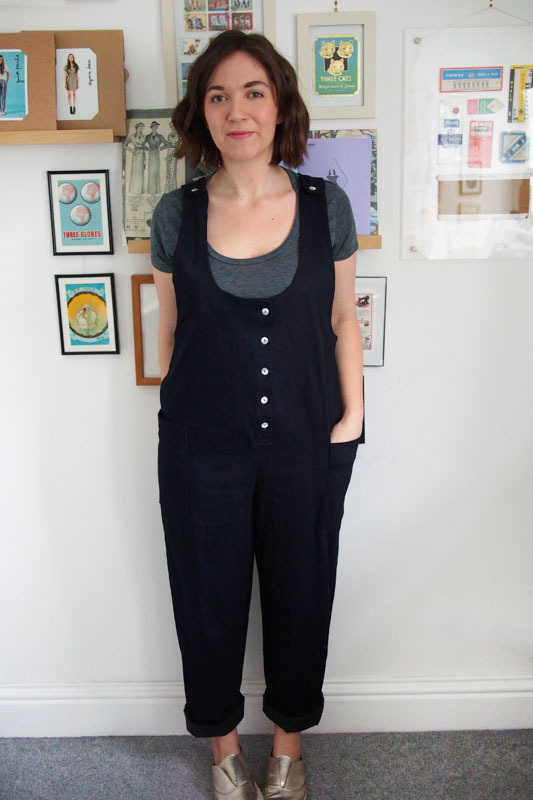 The bit of stretch in this lightweight denim (a Woolcrest Textiles bargain – my current #1 fabric shop) makes them super comfortable. 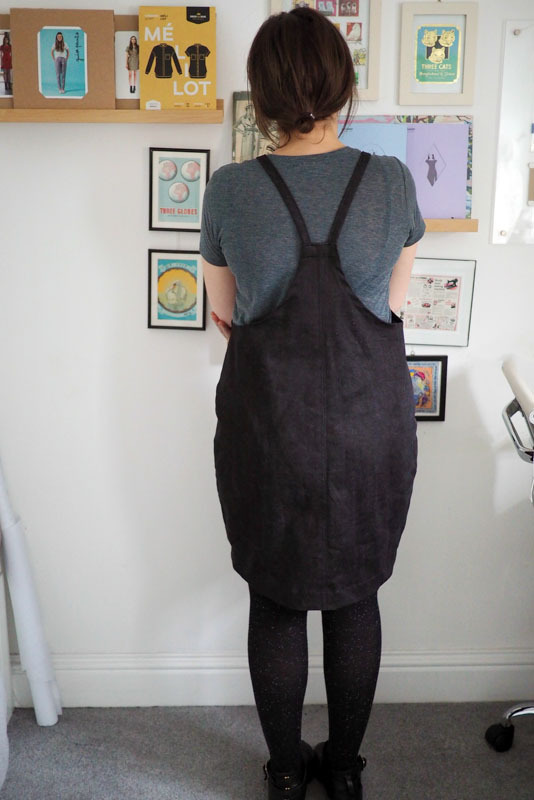 To finish the edges, the back and straps are self-lined and the front has a facing. 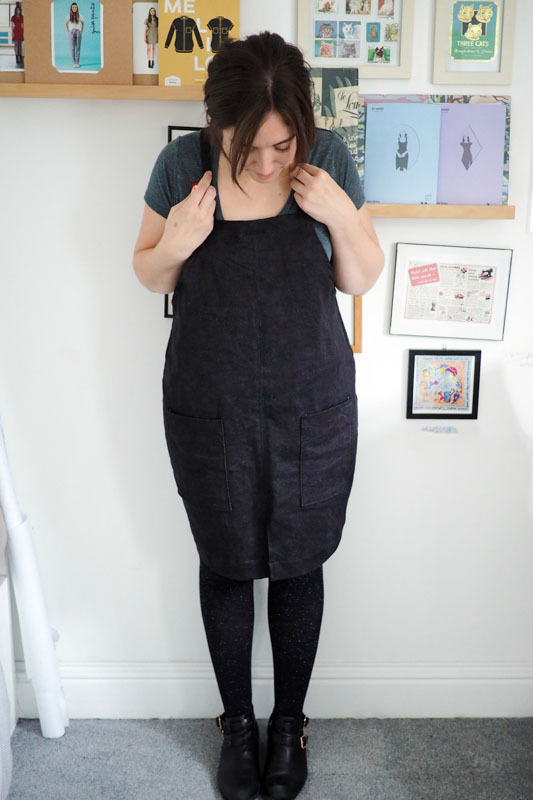 One of my favourite features are the huge patch pockets, which wrap around the side seam. Such a neat detail which look cool but are very easy to sew. Something did go a bit wrong while sewing the placket. Those things are just a mystery to me, I swear I just seemed to end up with flaps and angles all up in the wrong places and just couldn’t make it do what the instructions said. I fudged it and wound up with an okay result, but the buttons do not sit correctly at the exact centre front. I can live with it. I’ll definitely use this pattern again, if only just to have another crack at sewing the placket correctly! 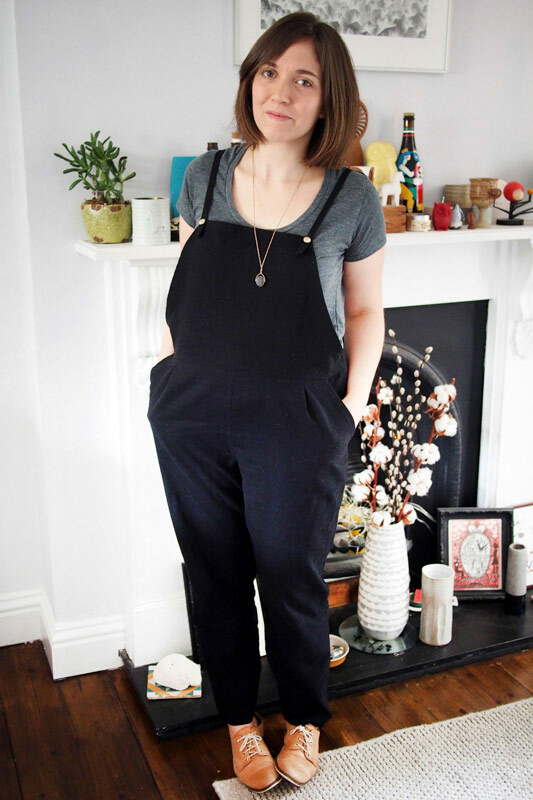 I’ve been collecting jumpsuit inspiration and have dreams of a really minimal version in a drapey viscose, like this, or one in linen with a tie belt like this. Really excited to share these! 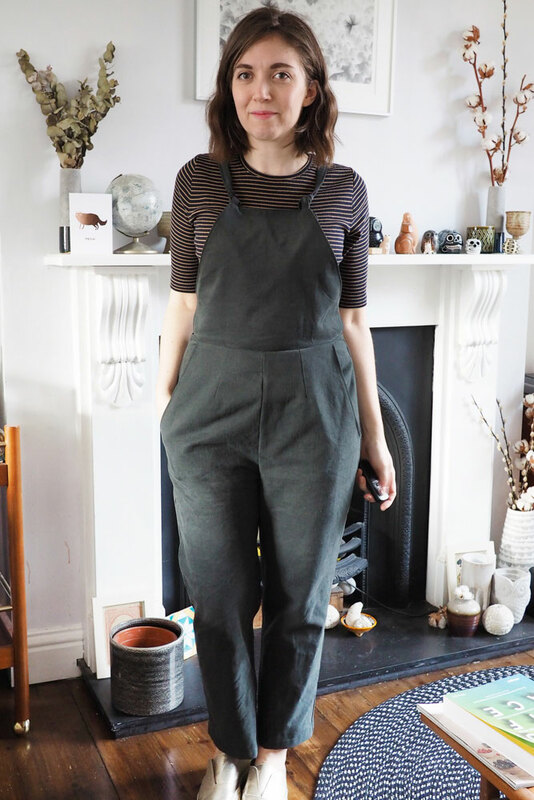 They’re probably my favourite thing I’ve made recently and an admittedly rather surprising wardrobe hit. 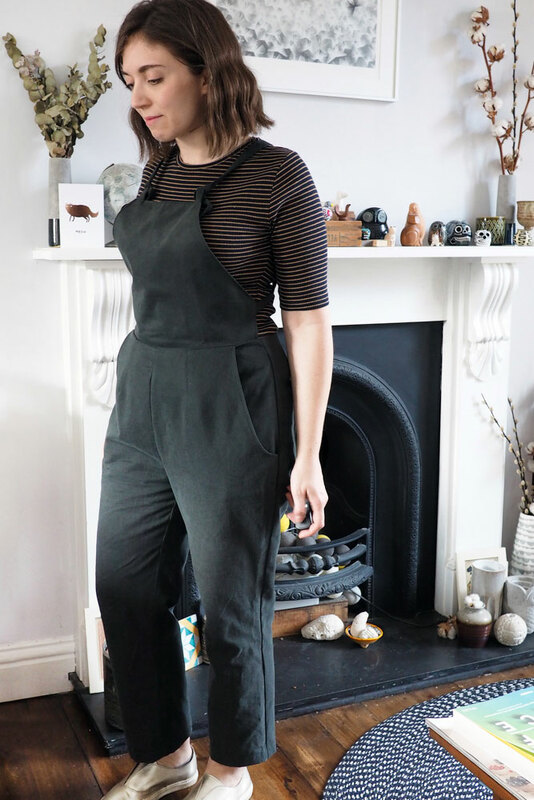 They are my tester version of the dungarees from Marilla Walker’s amazing new capsule pattern collection, the Roberts Set, which you can buy here. 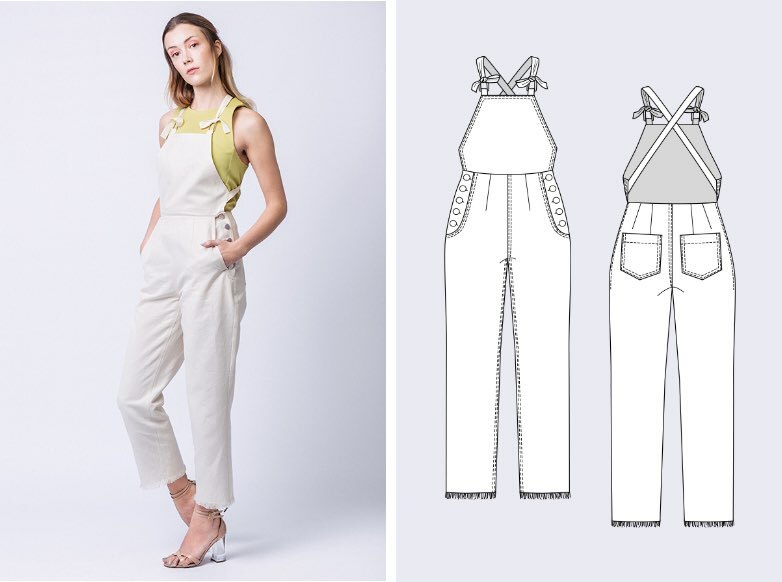 I should say off the bat that these were made from the tester pattern and Marilla made quite a few changes to the pattern based on our feedback, so don’t count on these pics for the final fit or styling details. 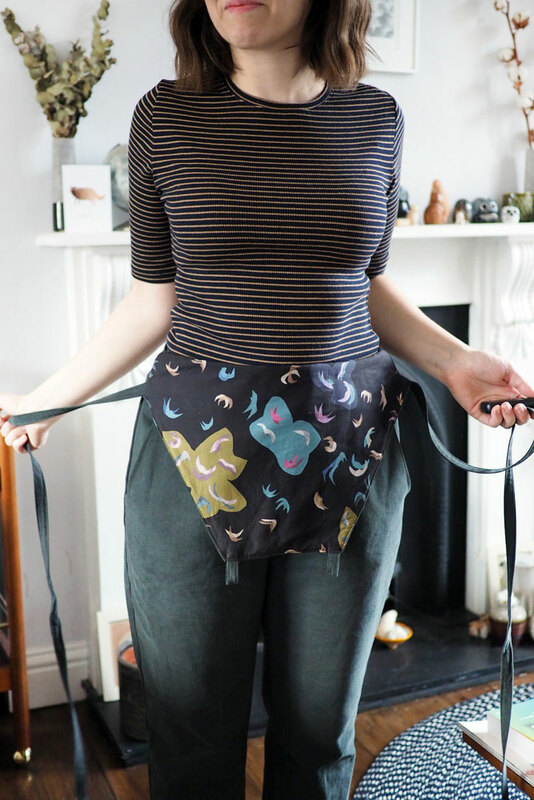 Although actually a few of the tweaks I suggested and implemented into my test version (such as adding buttons to the straps) made it into the final pattern, so it’s actually not that far off! 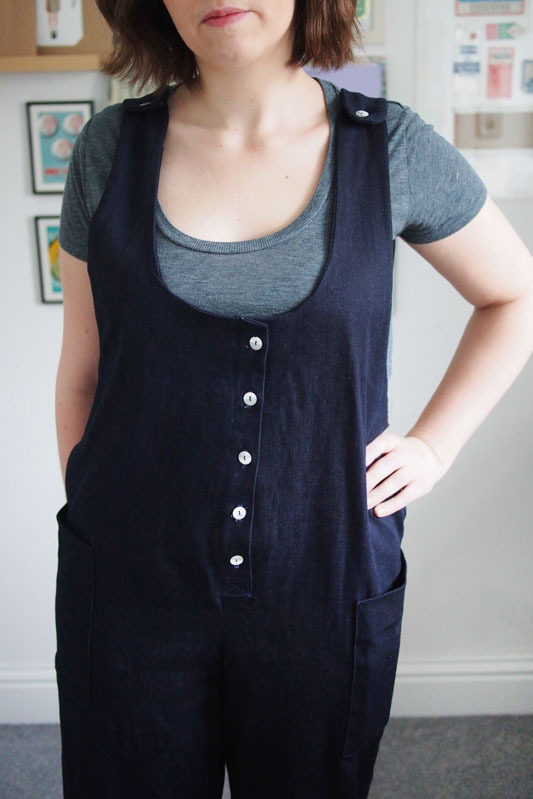 The final pattern has additional side waist buttons and a slightly slimmer fit all over. You can always expect a good blend of interesting-yet-accessible construction techniques from Marilla’s patterns that leads to a satisfying clean finish inside and out. 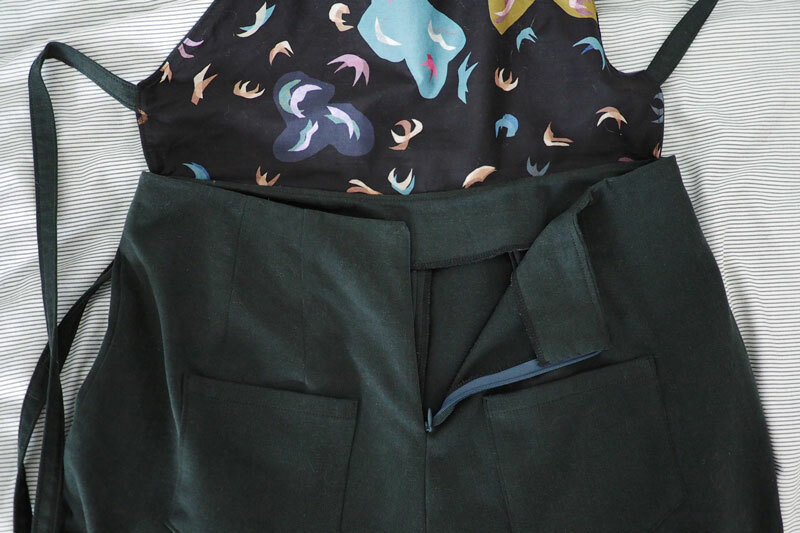 The front and back bodice are both faced (I’m enjoying having Liberty lawn tiny dancers inside my top) and the outer leg seam is French seamed, leaving just a few other seams to finish by overlocking or zigzagging. 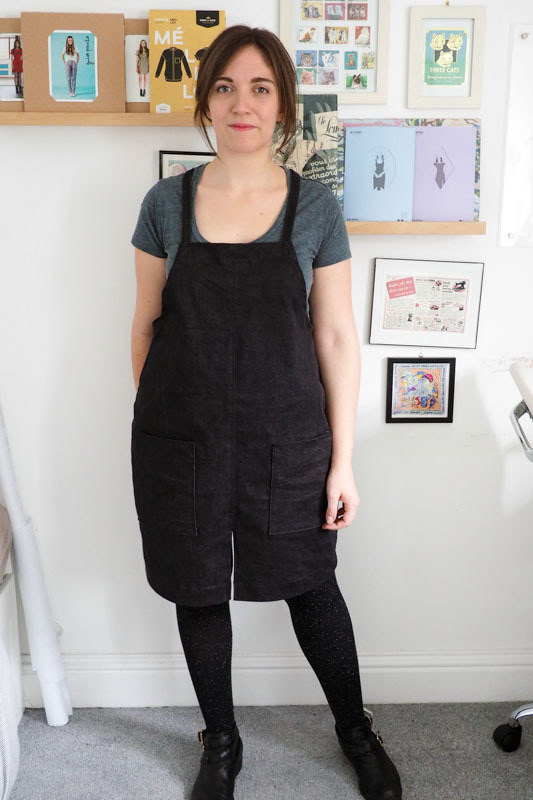 I used a soft black cotton poplin to make these up and I absolutely love the result. 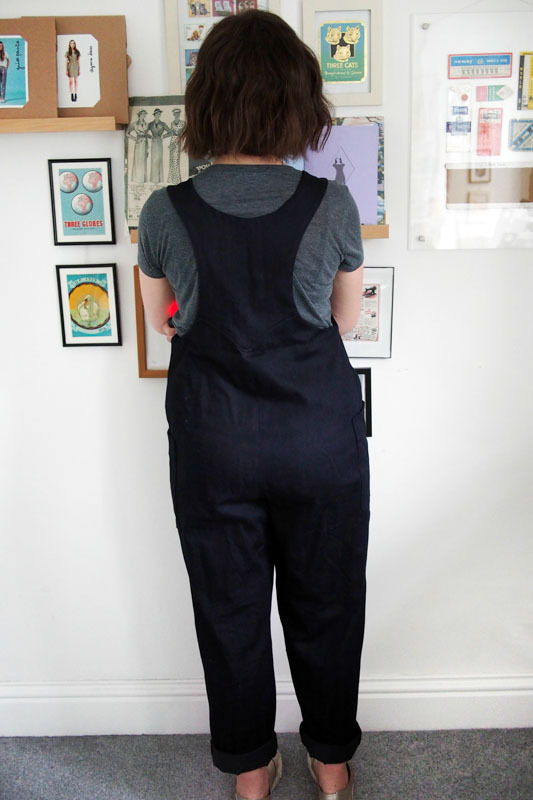 To be honest, before I made dungarees I was not at all convinced that I would actually wear them day to day. 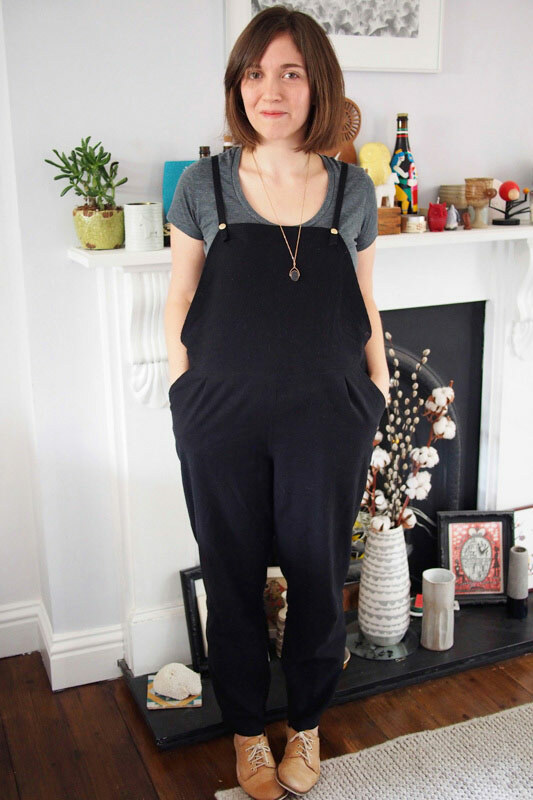 But I think by making them in basic black in such a comfortable fabric they have become a surprise wardrobe staple. I’ve worn them several times both to work and at weekends, and they’ve earned more unprompted compliments than anything else I’ve made. Even Josh thinks they’re cute which I wasn’t expecting. I’m definitely going to make up a second pair from the final pattern, perhaps in a yarn-dyed check from my stash for Ace & Jig vibes. 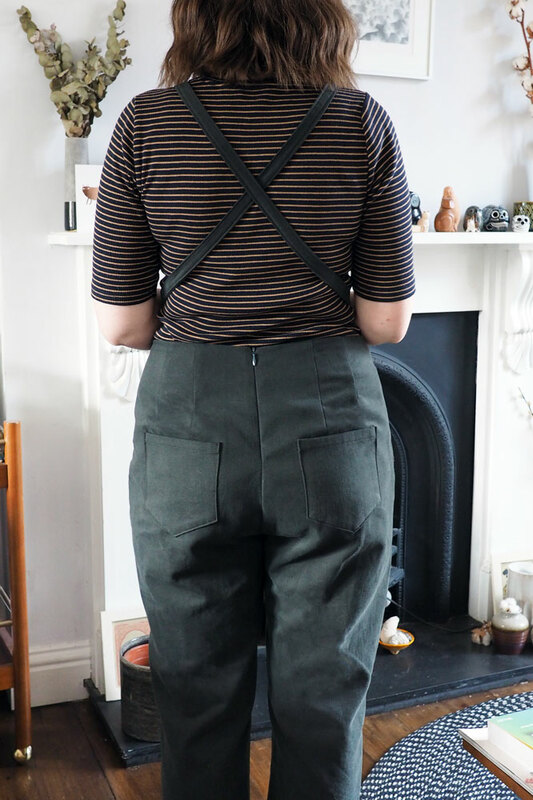 I also tested the standalone top from the set, which is designed to be worn under the dungarees (though I prefer a knit t-shirt under it) and echoes the back shaping with seam detailing. You can see the true test version in mustard yellow rayon on my jeans post, but I made this one up soon after using the button-up view and some dreamy rayon silk from Miss Matatabi. I left the seam detailing off this one and cut the back as a single piece. 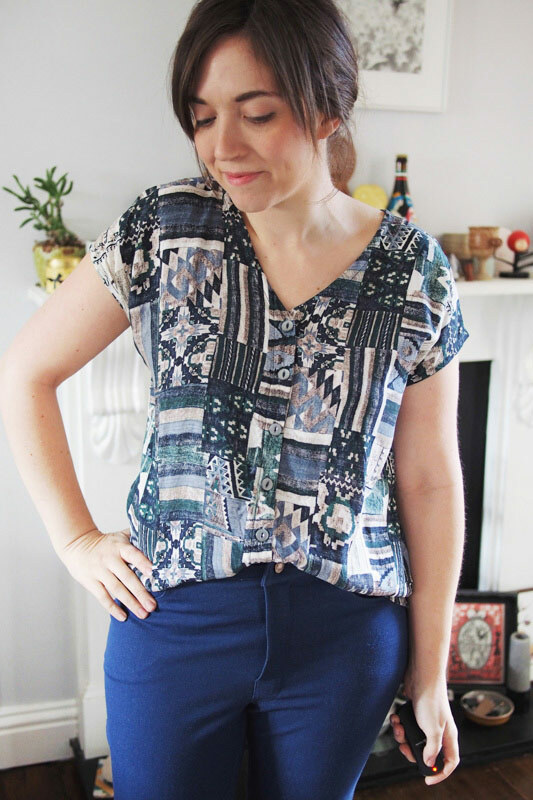 The fit is amazing; it’s totally my favourite top at the moment and this is definitely now my go-to woven top pattern. I can see a zillion variations in my future. 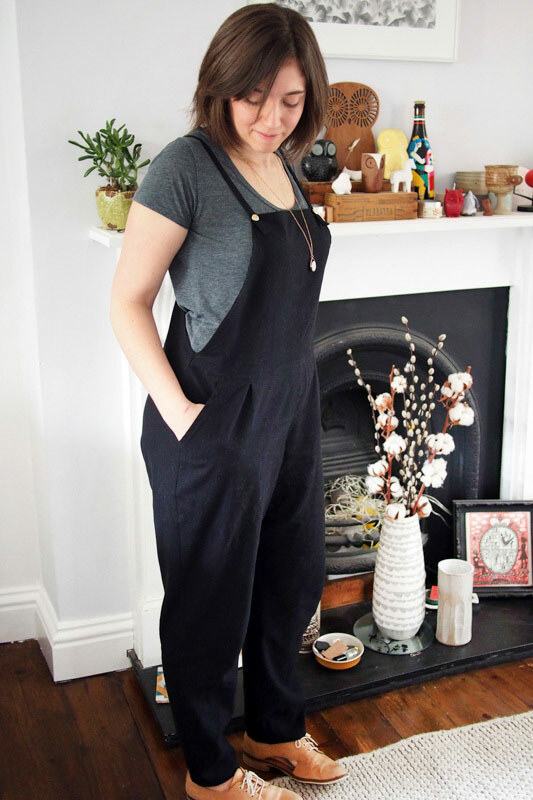 And if that wasn’t enough, remember there’s a dungaree dress and a jumpsuit included in the bundle too! 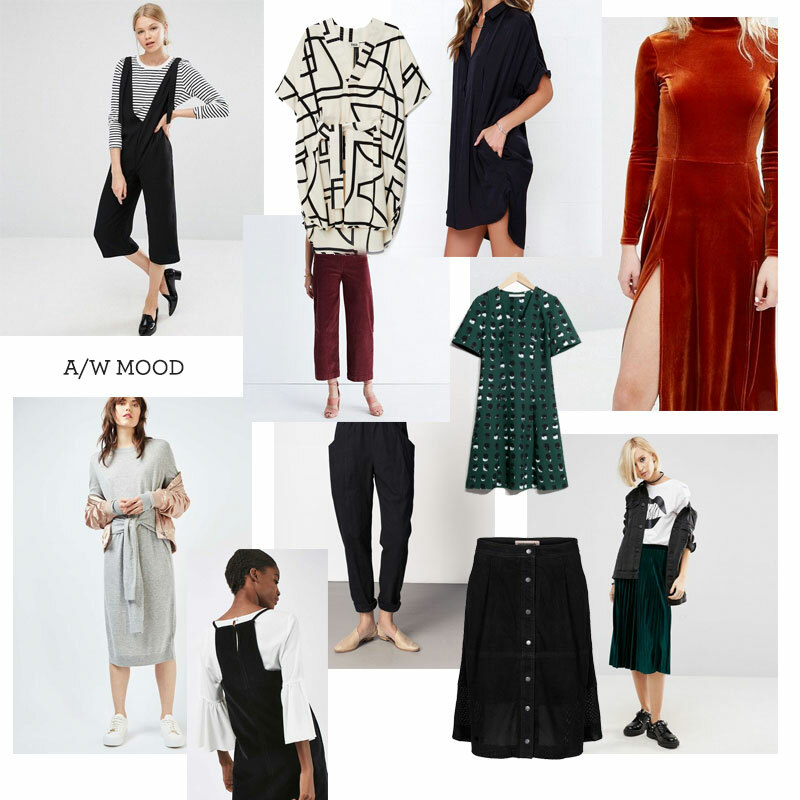 For me at least, it could well be the foundation for a capsule wardrobe all in one tidy package. 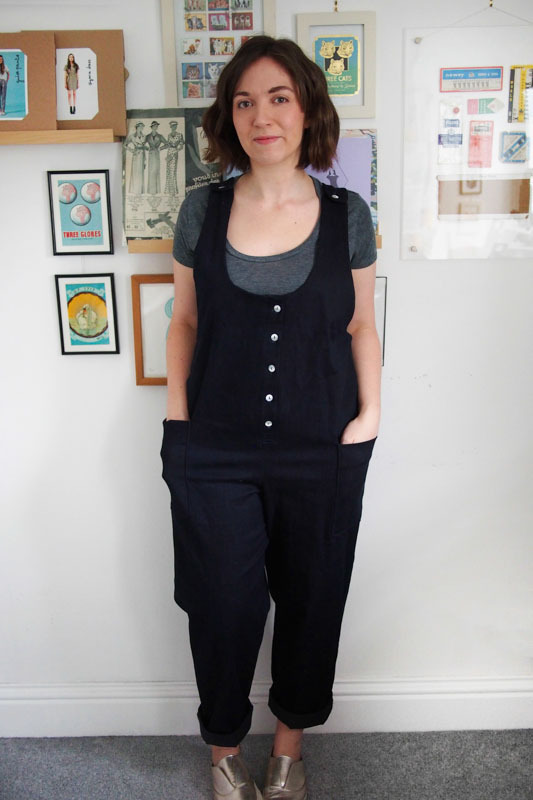 I’m looking forward to printing out the final copy of the entire pattern, and the jumpsuit is definitely next on the sewing table.